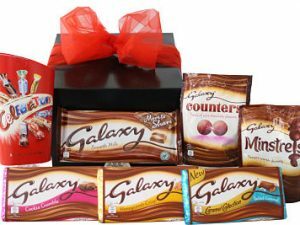 The Galaxy Chocolate Gift box is a gift to be appreciated. Filled full of your delicious Galaxy favourites, its a box to be savoured. For lovers of fruity jelly sweets and liquorice. The Fruity Sweet Gift box is the perfect sharing indulgence. Perfect for all those children at heart. 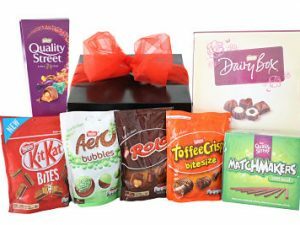 The Kid’s Mix Sweet Gift Box is bursting with some fantastic well known family favourites. A great gift to share. 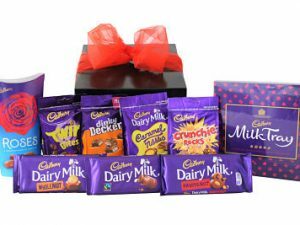 Choose the Nestle Chocolate Gift box to delight any chocolate lover. Filled full of family favourites, its a gift to impress and be appreciated.